Speaker Dr Shirin Sharmin Chaudhury has urged the authorities of the Bangla daily Kalerkantho and its journalists to work together in a way so that Bangladesh marches forward with the Liberation War spirit. "The daily is working with the spirit of the Liberation War and I want Bangladesh to move forward with the Liberation War spirit,” she said. Dr Shirin Sharmin Chaudhury made the comments while speaking at a programme held at the daily’s office at Bashundhara Residential area on the occasion of the ninth founding anniversary celebration of Kalerkantho, one of the leading Bangla daily newspapers in the country. Kalerkantho Editor Imdadul Haq Milon and Kalerkantho Executive Editor Mostofa Kamal were present, among others, during the programme. The ninth founding anniversary celebration of Kalerkantho has been kicked off on Wednesday evening with cutting cake. 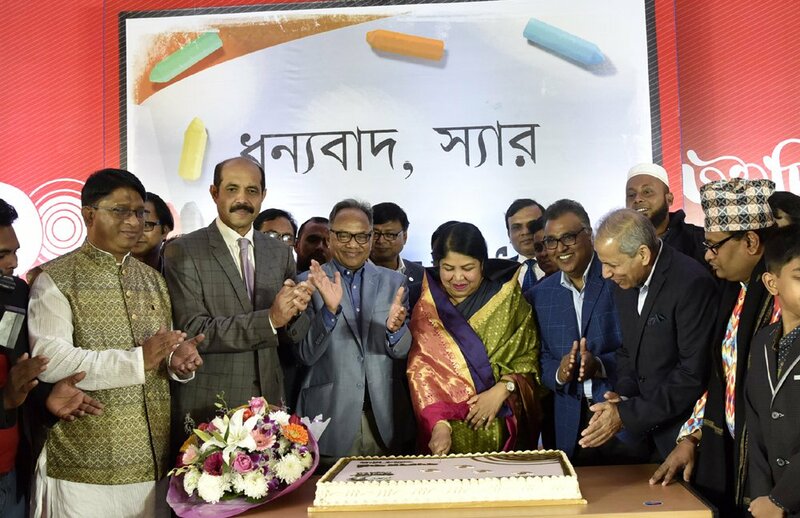 Bashundhara Group Managing Director Sayem Sobhan Anvir and his wife Sabrina Sobhan, inaugurated the activities of the ninth founding anniversary celebration on the day. They cut a giant cake at the Conference Room of East West Media Group (EWMGL) in the capital’s Bashundhara Residential area around 7pm yesterday. On January 10, 2010, with a slogan of “Angshik Noy Puro Sotto” (Full truth, not partial), Kalerkantho has started its journey. The national daily, however, has earned a huge popularity among the readers from home and abroad with its objective and investigative journalism.